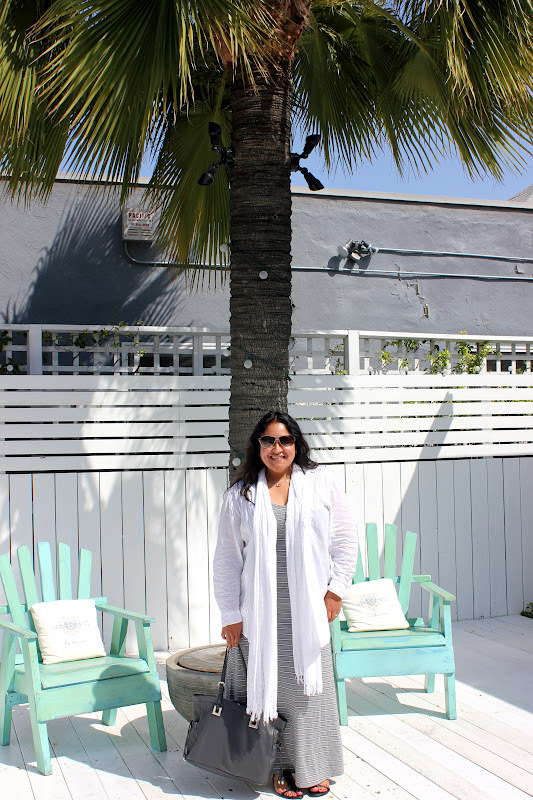 Sunday, Reward Style hosted a welcome brunch for the LuckyFABB Conference at the Viceroy Hotel in Santa Monica. I got to see some blogger friends and I made new friends and overall it was a wonderful and very positive experience. Ms. Macala Wright of FashionablyMarketing.Me. We met at the IFB Conference back in February and I love her approach to blogging in general and fashion and beauty blogging in particular. She is so smart and totally generous with real advice about writing and knowing your industry. I have the biggest girl crush on her! 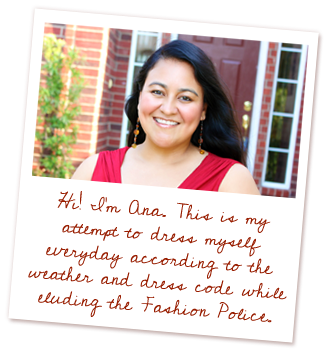 Another blog friend, Christa Marzan of Fresh Squeezed Fashion. Christa and I also met at IFB in New York and we instantly bonded over the fact that neither of us actually WANTS to quit our jobs to become a full-time blogger. I think we had a very similar experience both at IFB and LuckyFABB and I was fortunate that she was at the same hotel as me and we had several adventures getting to and from all the events! Veronica Cid of CIDStyleFile and Rachel Kane of WTForever21 with the lovely Marlien Rentmeester of Lucky Magazine ready to shop. Bloggers getting ready to hit Abbott Kinney and shop! After the brunch, Marlien Rentmeester, the west coast editor for Lucky Magazine and the founders of HavetoHave.com took the bloggers on a shopping trip on Abbot Kinney Blvd. Marlien was a great shopping buddy and the HavetoHave team was so friendly. I can't say enough about the girls! 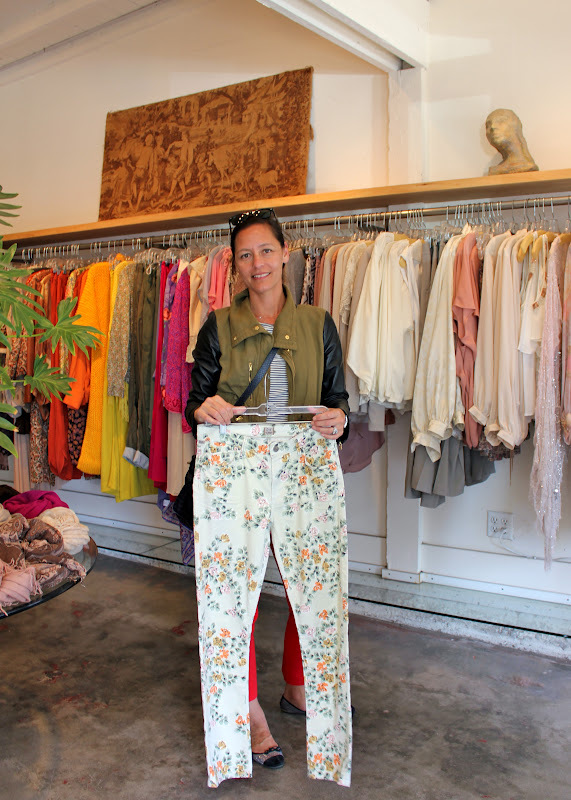 Marlien advises us that floral prints are huge for Spring. She loved these jeans. We all had a great time although I quickly remembered why boutique shopping is not for me. Most boutiques don't carry sizes larger than a 10 or sometimes 12, and when they do carry items that fit us larger girls, the prices are much higher. For example, a top for $385.00? Mr. Fantastic would never let me attend blogging conferences again! So I enjoyed the time I spent getting to know the girls and walking in the California sun! It's too bad we didn't get a chance to talk in person! Glad you had fun at FABB West! I know! You looked amazing at Kelly Wearstler and I wish we'd been able to spend some time, maybe next conference! I am so glad you had the chance to attend FABB! I was thinking about going but just too busy at work. I scrolled down and what an amazing story with Honest.com and I also think you got a fabulous goodybag! Thank you! Start planning now for New York in September so we can finally meet. It would be so much fun! Thanks, Audrey! It was amazing, indeed and I really enjoyed getting to know everyone! I love seeing recaps from blogger events, and jealous you met Macala, she's fabulous! I found you via your comment on the GOMI post on IFB and just HAD to see the woman behind it. You have adorable style! Thank you for commenting! I actually love GOMI and they can be mean sometimes but underneath the snark is usually a valid point. Macala is one of the first people to give me real and honest feedback about just about everything that has to do with blogging and social media. She is so down to earth and I just LOVE her sassy style!